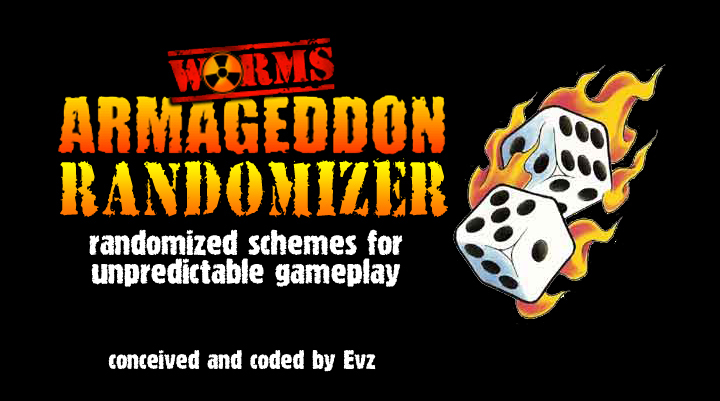 Difference between revisions of "Worms Armageddon Randomizer"
Worms Armageddon Randomizer (abbreavted WA:R) is a simple tool that generates a randomized scheme for Worms Armageddon. It was created by Evz (eeevans) and requires the .NET framework. It was previously hosted on www.moonshine.org (archived page), which is now no longer available and first mentioned in this thread on the Team17 forum.